Can I Give My Rabbit Cabbage? Can you feed your rabbit Cabbage? Pet rabbits are generally easy to feed if you are a bit informed. Young rabbits that are six months old and younger can thrive well with just timothy hay (grass hay, oat hay are fine too), a few vegetables (Alfalfa sprouts, Endive, dark green lettuce, Watercress, or spinach) and unlimited access to clean water. You can throw in some pellets from time to time, but it is not a must as timothy hay and water are. Once pet rabbits age beyond 6 months, you can be a little inventive with their meals by introducing new types of acceptable green leafy vegetables in their diet. 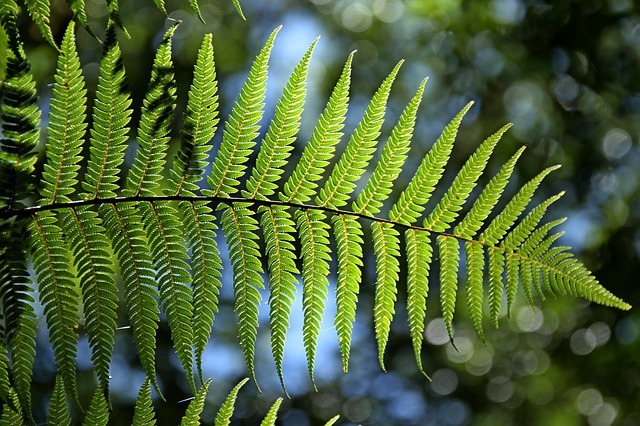 Green leafy vegetables are not that hard to spot when shopping for it in the fresh section of the supermarket. The lush hues of green stacked in baskets are easy to identify and you can buy as many as you want since green leafy vegetables are generally cheaper in comparison to fruits. Yes. But make sure to introduce it slowly. Cabbage is a type of green leafy vegetable. It is widely recommended by most animal scientists and veterinarians to be included in your pet rabbit’s diet. 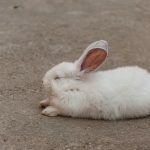 There are owners that say their pet rabbits seem to have bloated when they fed them cabbage, but that should not be a cause for alarm since cabbage is, in general, easy to digest. 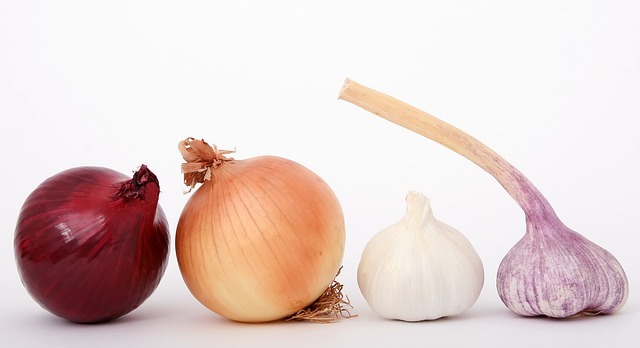 Regardless if you buy green cabbages, Savoy cabbages, red cabbages and Bok Choy, these are guaranteed safe for your pet rabbit’s lagomorphic digestive system. When feeding your pet rabbit some cabbages, make sure to introduce it as slowly and surely as possible. This is the key. 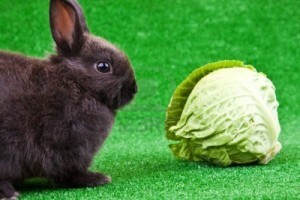 Give your bunny at one leaf of cabbage, and see how it reacts to it. 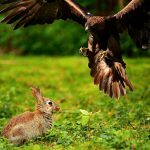 When introducing new food to your pet rabbit, it does not necessarily follow that they will love eating it at the first instance. It takes a while for some pet rabbits to get used to eating something new before they develop a strong penchant for it. At the end of the day, your pet rabbit’s diet should always consist of around 10% – 15% fresh foods, 5% – 10% or less rabbit pellets, and 80% hay. 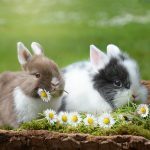 Although there should not be any issues when it comes to feeding pet rabbits cabbage, there are those who contend this statement by saying cabbages have the tendency to produce gas in your pet rabbit’s digestive tract. When gas develops, it can lead to 2 things. 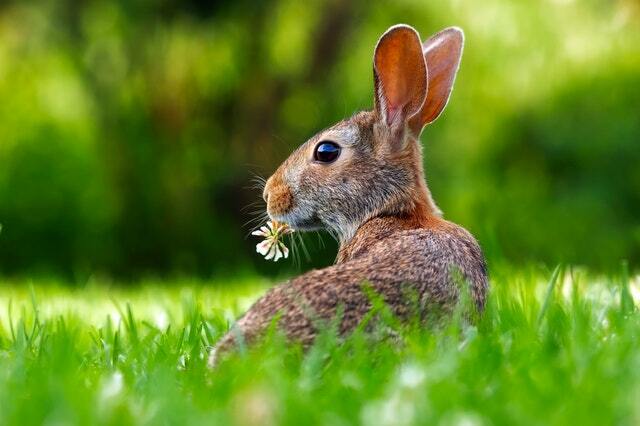 Your pet rabbit can either bloat or develop runny stools (rabbit diarrhea). However, this should only happen when your pet rabbit does not fully digest cabbage because it was fed in excessive amounts, because it was too fast introduced, or because your rabbit is more sensitive than others. When taking care of rabbits, you will notice that they have a natural tendency to finish everything that is served on their dish. Especially if what is served on their plate is something that they like, rabbits will tend to devour everything that they see in front of them. Make sure that the amount of cabbage is just limited to 5 pieces of leaves or less and that he is all right with it. If he is not drawn to eating it, do not force it, replace his plate of cabbage leaves with hay and try some other time. 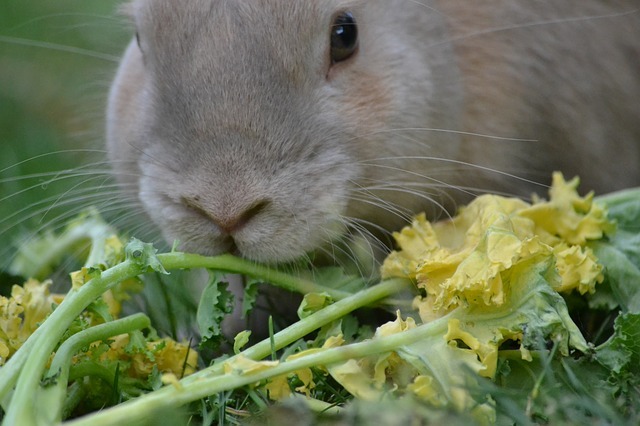 Other types of green leafy vegetables that you can feed your pet rabbit aside from cabbage can include arugula, beet greens, broccoli, cilantro, dill, escarole, mint, asparagus, artichoke leaves, watercress, turnip, Brussel sprouts and mustard greens to name a few. You can also feed your pet bunnies some herbs, but make sure to know their reaction to it since herbs have very strong scents and tastes. Some rabbits can eat herbs with the highest appreciation, while there are also those who would shun herbs completely because, again, of its unique scent and taste. If you want to round out your pet rabbit’s diet aside from serving cabbage and other recommended green leafy vegetables and herbs, you can also include fruits and serve it as a treat. 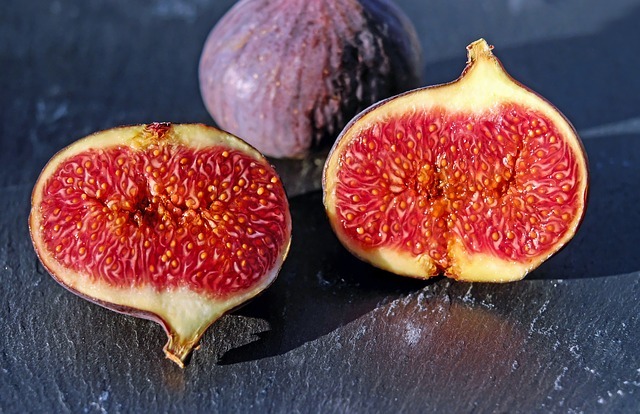 Fruits that will be a great treat for your pet rabbit include apples or pears (without stem and seeds), blackberries, blueberries, strawberries, pineapples (without the skin), papaya, oranges, banana (only a small slice, the size of an adult’s thumb) or plums (without the pits) to name a few. 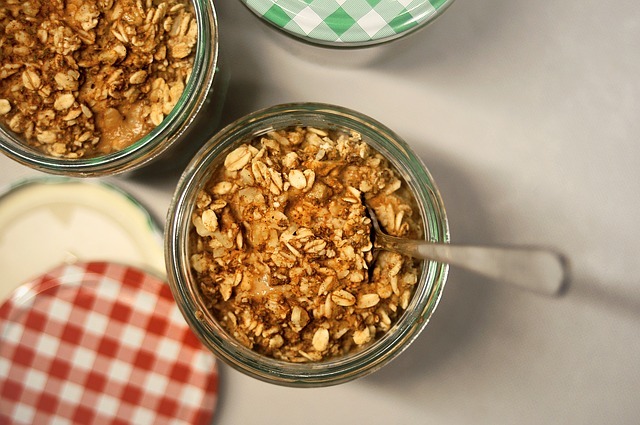 Fruits should never be more than 10% of the diet (about 1 teaspoon per 2 lbs of body weight per day, but not every day). Hay still forms a very significant portion of their recommended diet even if green leafy vegetables are widely recommended given the nature of their digestive systems. 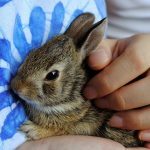 Regardless of your pet rabbit eating cabbage or not, the most important thing to remember is to feed your pet an ample amount of fiber every single day. This is the reason why. 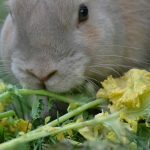 So, if you will ask whether it is safe to feed your pet rabbit some cabbage, the answer would be yes (5 pieces of leaves or less), but it is not a necessity compared to hay. Can I Give My Rabbit Bread? Can I Give My Rabbit Carrots?